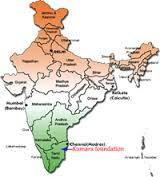 On 15th August 1947 India became independent and self govermentation. Social changes were taking place rapidly but an alarming absence of public health and sanitary measures continued.The ratio of nurse to patient remained dangerously low.The opening of nursing schools associated with college gave nursing profession a higher social and economic status,than it had previously known. T he formation of many commission and committees, establishment of INC and tremendous work of TNAI brought about change in nursing education post independence. TNAI helps the initiation of university level education in India. Recommendations of the Bhore committee were implemented within year . The TNAI made significant achievements in the field of nursing education.It creates awareness among nurses through Nursing journal of India and organizing continuing education programmes. TNAI also offers scholarships to deserving candidates to take up studies within the country and abroad. The INC was constituted to establish a uniform standard of education for nurses,midwives,health visitors and auxillary nurse midwives. The INC act was passed following an ordinance on December 31st 1947 . The council was constituted in 1949. Main proposes of the council. To set standards and to regulate the nursing education of all types in the country. To p prescribe and specify minimum requirement for qualifying for a particular course in nursing. To collaborate e with state nursing councils,schools and colleges of nursing and examination board. Inspect and accredit schools of nursing in their state . Maintain registers of nurses,midwives, ANM and health visitors in the state. The state registration council are autonomous except they do not have power to prescribe the syllabi for courses. RECOMMENDATIONS OF VARIOUS COMMITTEES PERTAINING TO NURSING EDUCATION. The recommendations given by committees and commission provided guidelines for improvement and growth of nursing education. Creation of an all India nursing council. Improvement in conditions of training of nurses. Minimum requirement for admission to be in accordance with regulation of the INC.
Three grades of nurses viz. the basic nurses (4yrs), auxillary nurse midwife (2yrs) and nurses with a degree qualification. For GNM minimum entrance qualification matriculation . For degree course passed higher secondary or pre university. Medium of instruction preferably English in General nursing. Degree course should be taught only in English. Training of nurses and ANM'S required for family planning. Masters in nursing programme to be increased and strengthened. Doctorate in nursing programme to be started in selected university. Continuing education and staff development for nurses. 8. Working group on nursing education and manpower,1991. There should be deliberate plan for preparation of teachers MSc/Mphil and PhD degrees. Importance of continuing education for nurses. Duration of training was 30 days. No age limit was prescribed, training include theory and practice, more emphasis on field practice. This training was done at subcentre and equipments provided by UNICE F.
In 1950 Indian Nursing Council came out with some important decisions relating to future patterns of nursing training in India.One of the important decision was that there should be only two standard of training nursing and midwifery, subsequently the curriculum for these courses were prescribed. The first course was started at St. Marys Hospital Punjab,1951.The entrance qualification was up to 7/8 years of schooling.The period of training was 2 years witch include a 9 month of midwifery and 3 months of community experience. In 1977, as a result of the decision to prepare multipurpose health worker& vocationalization of higher secondary education, curriculum was revised a designed to have 1.5 year of vocationalized ANM programme and six months of general education.The entrance qualification was raised from 7th passed to matriculation passed. Under multipurpose scheme promotional avenue was opened to senior ANMS for undergoing six months promotional training for which course was prescribed by INC.
Training of LHV course continued post independance.The syllabus prepar ed and prescribed by INC in 1951.The entrance qualification was metriculation.The duration was two and a half years which subsequently reduced to 2 years. GNM course existed since early years of century.In 1951,syllabus was prescribed by INC.In 1954 a special provision was made for male nurse.In1954 public health was integrated into basic nursing course. First revision of course was done in 1963. In1964-65 Psychiatric nursing was included in curriculum.The duration of course was reduced from 4 years to 3.5 years. Second revision was done in 1982. The duration of the course reduced to 3 years.The Midwifery training of one year duration was gradually reduced to 9 months and then six months, finally three year integrated programme of GNM was prescribed in 1982. During 1948-50 four nurses were sent to the U.K.by Govt. of India for mental health nursing diploma.During 1954 Manzil Medical Health centre,Lucknow gave psychiatric nursing orientation course of 4 - 6weeks duration. In 1951 a one year course in public health was started at college of nursing Delhi.Govt. of India felt urgent need for psychiatric nurses during 1953-54,this resulted in first organized course at All India Institute of Mental Health. In 1962 diploma in peadatric nursing was established at J.J.Group of Hospitals, Bombay.At present there are many other courses of three months duration which are monitored and recognized by INC.The ultimate aim of all the post-basic/ post certificate programme is to improvement of quality of patient care and promotion of health. First university programme started just before independence in 1946 at university of Delhi.and CMC Vellore. In 1949, on recommendation of university education committee and education commission(1964-66) and conference&workshop held by TNAI,The WHO and UGC,some more colleges came up in different state affiliated to different state university. INC prescribes the syllabus which has been revised three times,the last revision was done in 1981.It was done on basis of the 10+3+2 system of general education.At present the BSc Nursing programme which is recommended by the INC is of four years and have foundations for future study and specialization in nursing. The need for higher training for certificate nurses was stressed by the Mudaliar Committee in1962. Two years post basic certificate BSc(N) programme was started in December 1962.for nurses with diploma in general and midwifery with minimum of 2 years experience. First started by university of Trivandrum. At present there are many colleges in India offering Pc BSc(N) Course. 3. Post Basic Nursing by Distance Education Mode. In1985 Indira Gandhi National open university was established. In1992 Post Basic BSc Nursing programme was launched, which is three years duration course is recognized by INC.
First two years course in masters of nursing was started at RAK College of Nursing in 1959.and in 1969 in CMC Vellore. At present there are many colleges imparting MSc Nursing degree course in different specialties. INC felt need for M.Phil programme as early on 1977,for this purpose committee was appointed.In 1986 one year full time and two years part time programme was started in RAK College of nursing Delhi. Indian nurses were sent abroad for Ph. D programme earlier. From1992 Ph D in nursing is also available in India.MAHI is one of the university having PhD programme. Trends in nursing education changes from basic general nursing service to doctorate education in nursing. Nursing education have expanded considerably post independence. University education in nursing brought about changes in nursing education.The type of nurses required today is an "all round personality". Education brings changes in behaviour of the individual in a desirable manner.It aims at all round development of an individual to become mature,self-sufficient,intellectually,culturally refined.socially efficient and spiritually advanced.